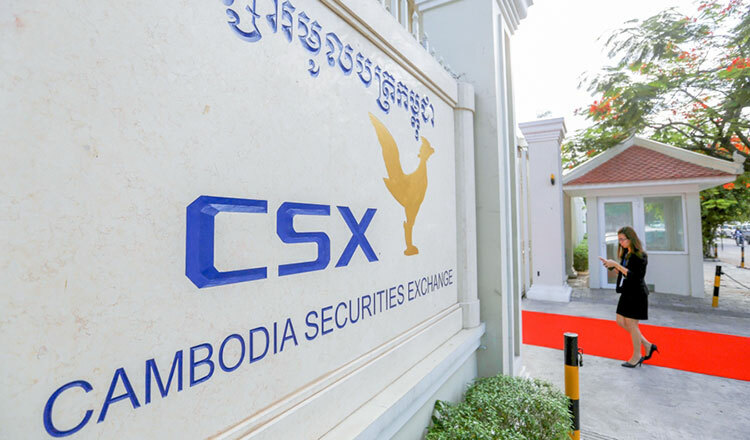 Microfinance institution Hattha Kaksekar Limited (HKL), the third largest microlender in Cambodia, became the first firm to list its corporate bonds on the Cambodia Securities Exchange (CSX) yesterday. HKL’s president and CEO Huot Ieng Tong said the company issued 1.2 million bonds worth 120 billion riels ($30 million). HKL21A’s bond completed the subscription with offering of 120 billion riel (or $30 million) since Nov 14. The bond will last three years starting Nov 14, with an interest rate of 8.5 percent per annum. “HKL’s corporate bonds have a period of three years with a coupon rate of 8.5 percent per annum. The capital from the bond issuance will be used for expansion of the firm’s business operations. “The listing, can also give us more ability to expand our loan disbursement in riel and it can give us greater ability to upgrade to new technology in our operations for the convenience of our customers. From now on, investors can buy and sell the HKL corporate bonds on the CSX,” Mr Ieng Tong said. CSX’s CEO Hong Sok Hour said the International Finance Corporation (IFC) has bought 800,000 bonds worth $20 million, as the remaining bonds were purchased by banks and insurers. “This made history for the CSX with the first bond listing,” he said. Kyle F. Kelhofer, IFC senior country manager for Cambodia, Vietnam and Laos, said the IFC was very confident in the growth of HKL and the banking and financial sector in Cambodia. 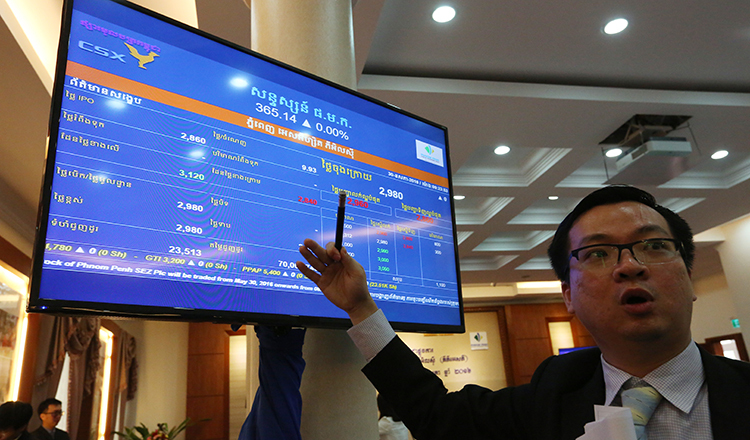 “IFC is pleased to buy the first-ever Khmer riel bonds issued by HKL, and we will continue to work with key stakeholders and market participants to further strengthen the debt capital market in Cambodia. 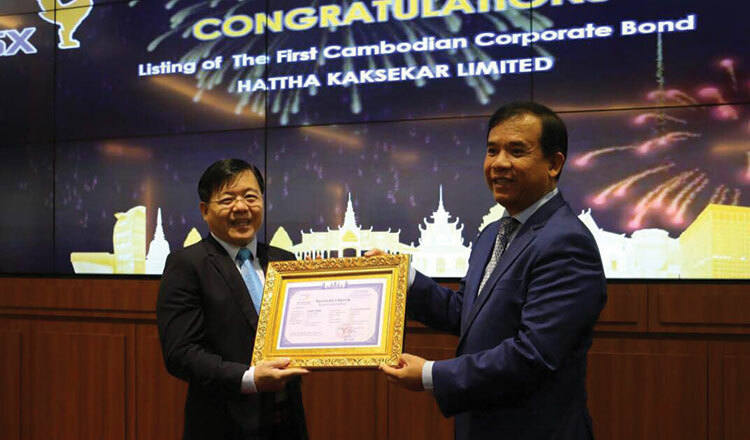 “This is a signal of confidence and a milestone for HKL Bank and HKL’s customers, to rural, SMEs, farmers and women borrowers; a signal of confidence in the banking sector, financial institutions and for Cambodia. “We will continue to work with key stakeholders and market participants to establish and to further strengthen the debt capital market in Cambodia – helping to mobilise savings, to fuel the economic growth, job creation and share prosperity for all,” he said. Mey Vann, director general of Financial Industry for the Ministry of Economy and Finance said the bond attracted interest from both institutional and individual investors which is a positive step for the company. “I think trading will continue to increase because it offers another choice for investors who wish to get fixed income at lower risk. With the support of the government for the stock market, I do encourage more companies to get listed,” he said.